Although bitcoin broke the parabolic trend on the smaller timescales, the chart above shows that bitcoin is still being governed by the parabolic resistance — an outlier in an otherwise parabolic trend. Something very important to note about the parabolic breakout is the amount of volume on the move: It was the highest volume seen at top of a trend in the last two years — it’s continuing to increase. Taking a closer look at the daily candles near the edge of the upper parabolic curve, we see a textbook reversal candle called a “Reversal Doji” (often just called “Doji”). This is a point where volume is high but overall price movement is low. Thus, supply is approximately equal to demand and it poises the market for a potential reversal. Although the current daily candle is still forming, it’s showing an increase in supply (downward price movement) and the volume is continuing to grow as the day moves on. And so the story goes on the weekly candles. Sitting at the top of our 2.5 year bull market, a reversal candle is in the process of being formed. Thus, the higher timescales are indicating a balance of supply and demand and offering an opportunity to the market for a reversal. It should be noted that the current weekly candle still has a couple more days left on it and is in the process of forming. For those playing the macro markets, keep a close eye on this candle as it will give hints as to the likely direction of the market in the coming weeks/months. On a macro scale, support lies on the linear and parabolic trendlines shown in Figure 1 and are likely to alleviate any potential downward movement in the coming days and weeks. As with any market setup or potential trend reversal, wait for confirmation of candle closes before acting and expect the unexpected. 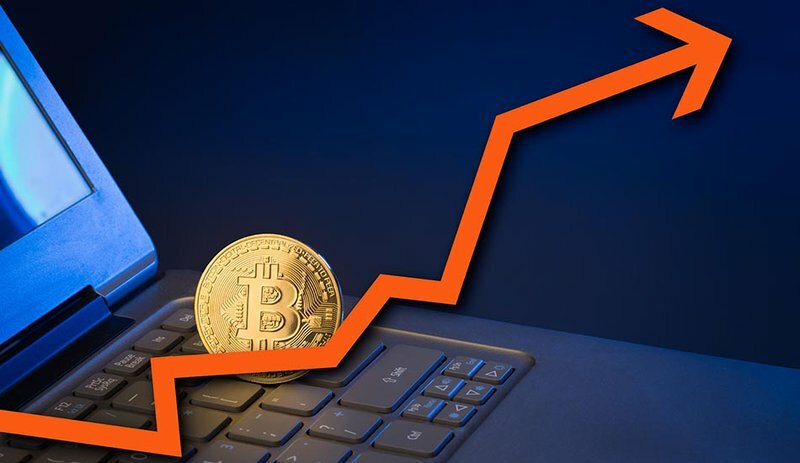 Bitcoin managed to establish another new all-time high in the upper $11,000s. As of the time of this article, the parabolic envelope is providing solid resistance while the market tries to find solid support. Macro time frames are beginning to show signs of supply dominating the market. Should the market continue to pull back further, support can be found on the parabolic and linear trendlines outlined in Figure 1.